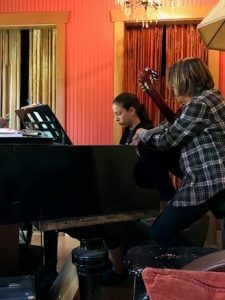 Palomi has been taking piano classes for more than a year. Here she is at the baby grand piano at her teacher’s place. The teacher lives in Albany and it’s not far from home. 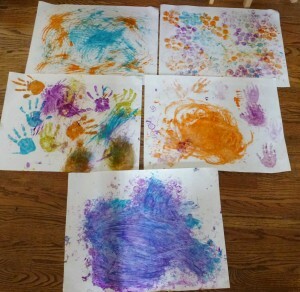 Am hoping this is the start of a blog for Jhaveri-Atkinson-Schacht family. We’re all spread out in California, London, New York City and Nepal. 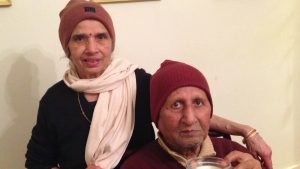 A blog to connect all of us, to be seen by mum and dad? And here they are. I love this photo taken March 2018. August was a busy month. Two weeks of travel out of the country, the beginning of the school year for our daughter, a new preschool for our son and a birthday for me. We traveled to London to visit my family, then took the Eurostar (a great way to travel!) across to Germany. We hung out in Koln (Cologne) for a couple of days before moving onto other cities. 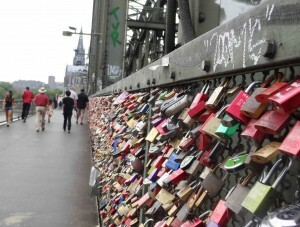 Here is a photo of love padlocks on the Hohenzollern Bridge in Koln. The love padlocks started appearing in European cities in the early 2000s. 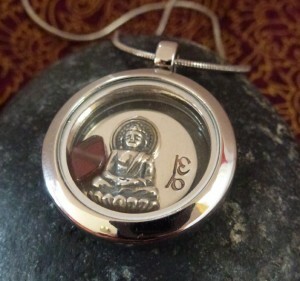 Typically, a couple’s name is engraved on it. 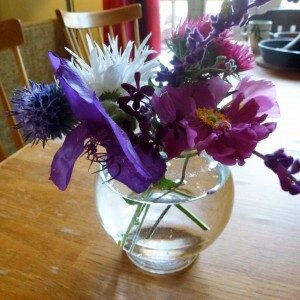 For my birthday, our daughter went through our garden and collected this lovely display of flowers she put together. I love the color combination and array of different flowers. 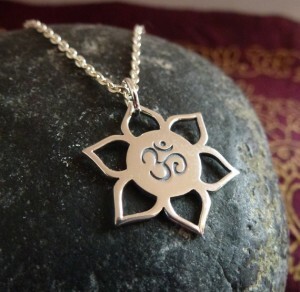 And just before we left for our vacation, I got some of these lovely sterling silver Om charms, now available in my shop! 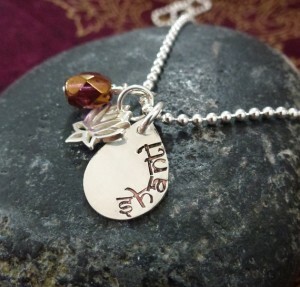 Made for a particular individual, the design features a 3/4″ sterling silver disc, a sterling tree of life charm and a hessonite garnet stone bead. The text can be personalized. 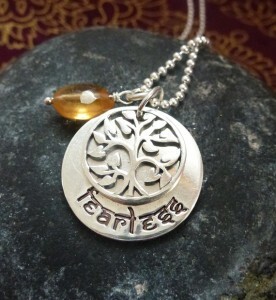 Oh, the text says fearless! As usual, can be found in my shop! 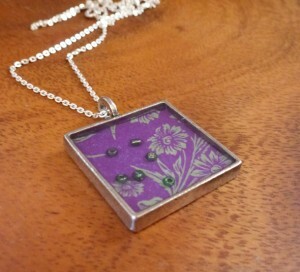 New designs that feature resin. Jewelry grade resin is a finicky substance. The biggest challenge is bubbles. I have researched this and followed all guidelines but even then, a bubble or two can surface. 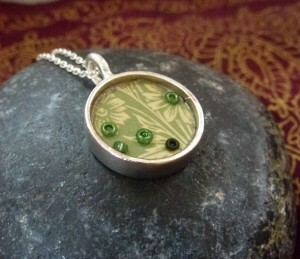 But I love resin and keep trying. Here are a couple of new designs that I’ve had in the works for a long time and only recently had the time to make them. 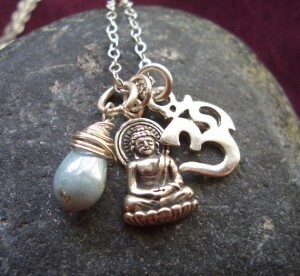 Find them here and here in my shop. 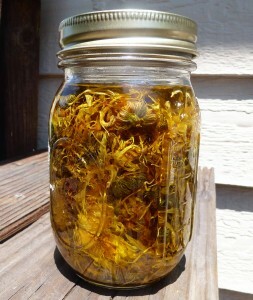 A mason jar of dried calendula flowers infusing in organic olive oil. A future batch of home made lotion will incorporate this healing infusion. The days are blissfully warm right now here in the Bay Area. Perfect time to make some oil infusions!! New design! Can be personalized.